Following the success of Universal’s Dracula, MGM asked director Todd Browning for a horror movie and regretted it faster than Ben Affleck becoming Batman. Browning (who ran away at 16 to join the circus) hired real sideshow performers for this carnival-set classic, which repelled contemporary audiences so much that the picture was banned until the 1960s – when being a freak became cool. Clearly the movie was ahead of its time. 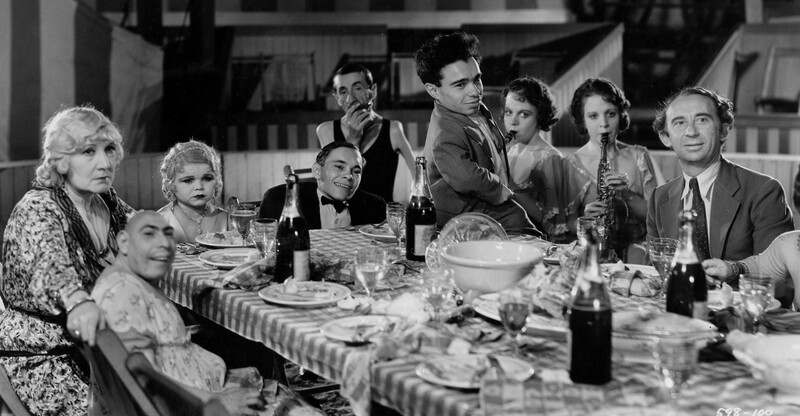 Far from being exploitative as believed in 1932, Freaks (an ironic title) displays a compassion towards people with deformities that wouldn’t be seen again until The Elephant Man in 1980 – and arguably never since. Because horror films are about imposing the characters’ perspective onto the viewer, this forces the question of identification – a question familiar to Jewish people in the Labour Party: whose side are you on? Browning aligns our sympathies firmly with the circus performers, through a morality tale in which an able-bodied trapeze artist (Olga Baclanova) suffers for her cruelty. He also highlights their capability, demonstrating that there are people who can walk on their hands, eat with their feet and light matches with their mouths while some of us with four limbs can’t even stand upright half the time. The feature is only an hour long (an extra half hour was cut and lost), most of which is simply the characters going about their lives as in Carnivàle. This has the effect of normalising their lifestyles and includes some wonderful humour (an irritated clown’s marriage to a conjoined twin means he’s forced to live with his sister-in-law) and one of the most tender relationships (Harry and Daisy Earles, who also played munchkins in The Wizard of Oz) in horror history. The “horror” itself only materialises at the very end, featuring the famous “One of us!” chant and a shock ending that cements Freaks as a bold, unique film about the freakishness of normality.